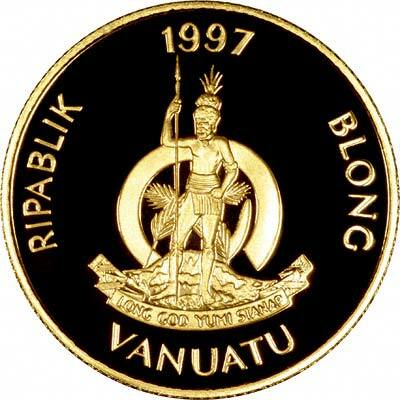 Vanuatu is the new name for the New Hebrides, a group of small islands east of Australia, discovered by Portuguese navigator Pedro de Quiros in 1606, and named New Hebrides in 1774 by Captain James Cook. The islands were much visited for their sandalwood, and rather unusually, the British and French each relinquished their claims to firstly declare the zone as neutral, and later as a joint Anglo-French dominion (condominium). 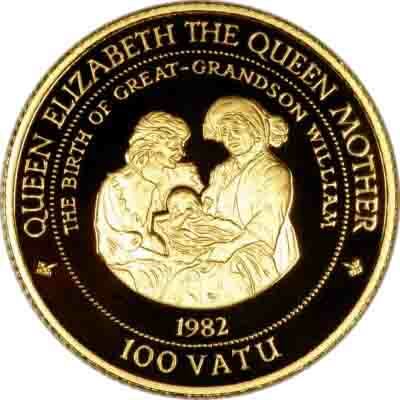 Vanuatu became independent in 1980 and remains a member of the British Commonwealth. 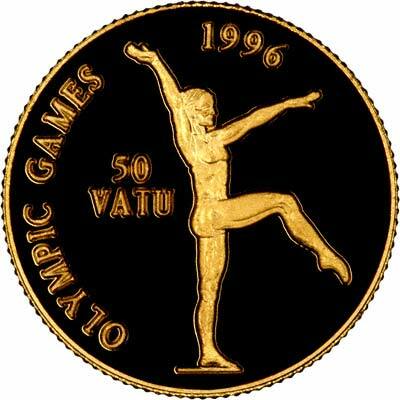 Vanuatu's first gold coins in its own name were issued in 1981, although no circulation cooins were made until two years later in 1983. 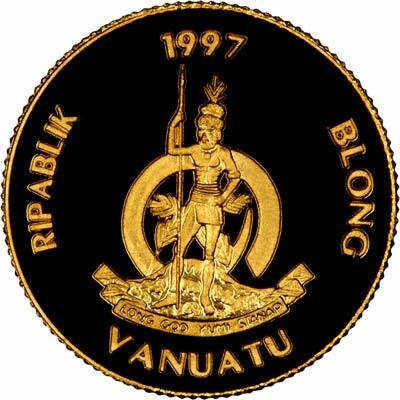 For silver and base metal coins of Vanuatu, please look at our original Chard Coins website.